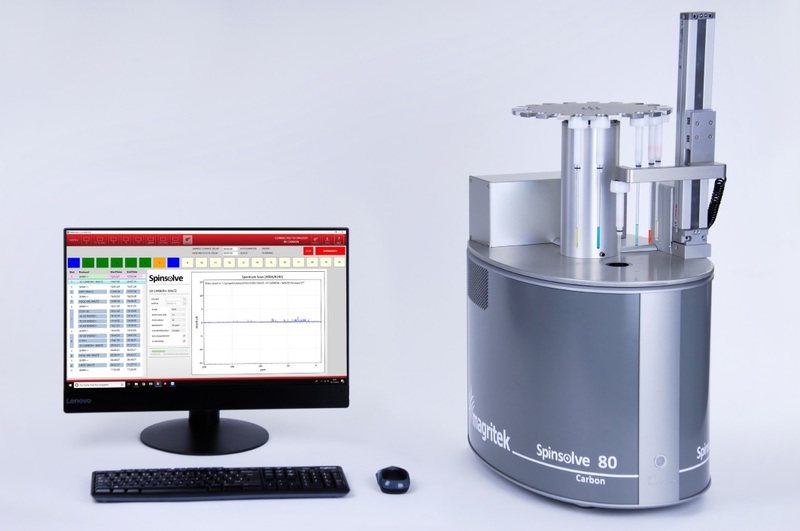 The NEW Spinsolve Autosampler increase throughput of your Spinsolve Benchtop NMR. The Spinsolve Autosampler uses a rotating carousel and mechanical arm to introduce and remove samples from the spectrometer. It enables up 20 separate samples to be measured in any order and can be fitted to all Spinsolve models. The software is very easy and intuitive to operate and requires very little training to use. It useful for customers who often have a series of samples to run on their benchtop NMR and want to save the hassle of having to keep coming back to exchange samples. Another benefit is the ability to increase utilization by setting up a queue of experiments to run on their Spinsolve overnight. 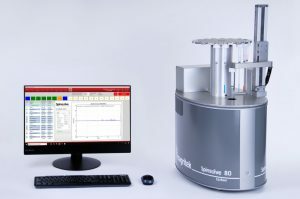 Spinsolve is a revolutionary multinuclear NMR spectrometer that provides the best performance of any benchtop system available today. With its small footprint, low weight and low cost you can have powerful, high resolution NMR spectroscopy in the chemistry lab, alongside other analytical instruments such as IR, GC, LC, MS, FTIR and Raman systems. Spinsolve now comes in several convenient models. 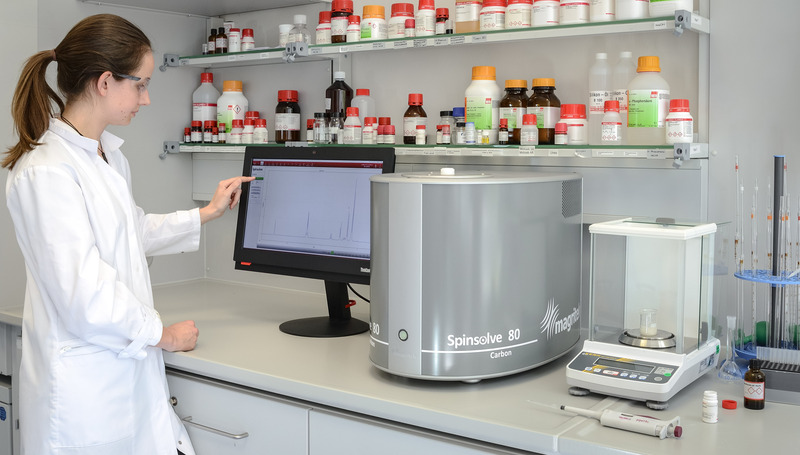 Spinsolve: ideal for chemists in academia and industry where it can be used for reaction completion checks, identification, structure elucidation, quantification, purity measurements, online reaction monitoring and quality control (QA/QC). Spinsolve is available with 3 different magnet field strengths. Click on the links below to download a brochure. Incredible sensitivity, beautiful software and easy to operate. Spinsolve can easily measure typical samples down to 100 mM concentration in 15 seconds. For samples down to 10 mM concentration, a good spectrum can be acquired in less than 10 minutes. Don’t waste time waiting for results when you can have them immediately. The performance of Spinsolve enables both 1D and 2D 13C NMR spectra to be acquired. The powerful 2D HSQC-ME experiment can be run easily and as you can see below delivers outstanding results. No special NMR knowledge was required to obtain these spectra, a single click was all that was necessary for the Spinsolve user to do. Nuclei: Option to include a third nucleus like 7Li, 11B, 13C, 15N, 23Na, 29Si, 31P (ask for others). Hear what customers say about their Spinsolve® benchtop NMR Spectrometer.